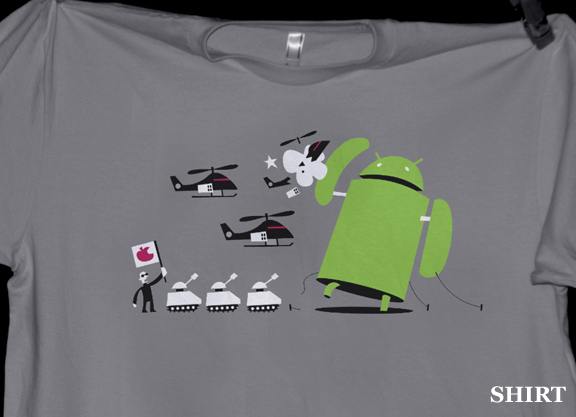 Ready to profess your undying love for Android in the battle against the evil empire? Do so today in poster or t-shirt form! The Andy versus Apple shirt or poster is available to add to your collection of uber-geek printed t-shirts. Buy one for $19 here. It looks like Exploded Andy is still available as well.